The family of Merve Kavakci, a former Member of Parliament and the current ambassador of Turkey to Kuala Lumpur, has become the target of a public backlash for the high posts held by its members. The situation has been brought to public attention following the appointment of Mariam Kavakci, daughter of Merve Kavakci, as an advisor to President Recep Tayyip Erdogan. 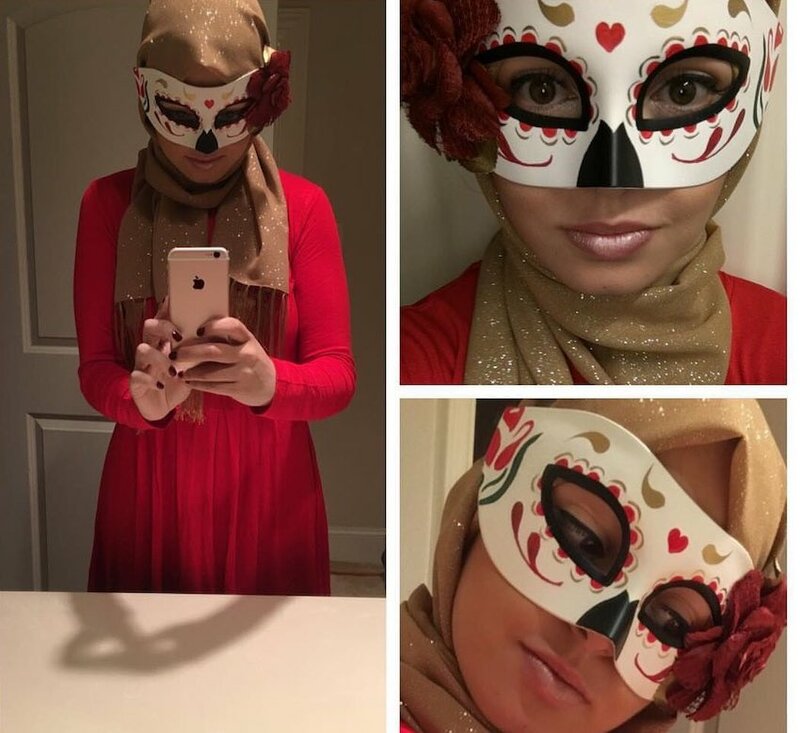 After her appointment, photos of Mariam Kavakci posted on her social media account, displaying herself wearing colourful masks and striking dashy poses, started circulating on Twitter with comments stating her inconvenience for the job. 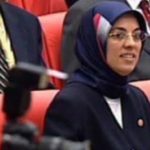 Mariam Kavakçı Cumhurbaşkanı danışmanı oldu. Adding to the news of Mariam Kavakci’s appointment, Fatima Gulham Abushanab, the other daughter of Merve Kavakci, turned out to be employed as an international relations specialist for the presidency as well, according to a report by the critical newspaper Sozcu daily. Sozcu daily further provided a list of the members of Kavakci family who currently hold high posts in the public service. Merve Kavakci’s sister, Ravza Kavakci, is currently an AKP MP, and her other sister Elif Kavakci is reportedly the fashion designer of the First Lady, Emine Erdogan, according to the list. With Merve Kavakci appointed as an ambassador to Kuala Lumpur, the outlook of the posts held by the Kavakci family have taken the form of a family-owned enterprise for many. “I wish success to the presidential advisor Mariam Kavakci, over her new position. She has due merits. I wish the same for the other members of Kavakci family,” tweeted opposition IYI Party deputy Lutfu Turkkan, criticising the appointment of the family members to high posts with sarcastic satire. “Bravo! The most skilful family at capitalising the headscarf issue. It’s impossible not to acknowledge them,” read a post from the Durmus Yilmaz, IYI Party MP and the former chairman of Central Bank. Merve Kavakci’s sister, Ravza Kavakci, is currently an AKP MP and her other sister Elif Kavakci is reportedly the fashion designer of the First Lady Emine Erdogan. Born in 1968, Merve Safa Kavakci, an academic, a politician, and a recent diplomat is a controversial look with her entry to the Turkish parliament wearing a headscarf for the swear-in ceremony. Kavakci was elected as a MP from the lists of the Fazilet Party on the 1999 parliamentary elections. FP was later annulled by the supreme court as a result of its alleged anti-secular stance. After being dismissed, FP gave birth to two political parties, one of them is the AKP, which has been ruling Turkey for the past 16 years. 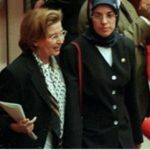 Merve Kavakçı, first day as an MP in the Turkish Parliament, 1999. “Here is not the place to defy the state. Inform this woman with her limits!” said then Prime Minister Bulent Ecevit over Kavakci’s outfit. MPs were chanting in fervor “Out! Out!” as Merve Kavakci had to leave the assembly without being able to swear-in as MP. Back then, the headscarf was widely regarded by secularists as the emblem of Islamism, thus its presence in public life was viewed as an affront to the Turkish Republic’s secular foundations. Kavakci was later deprived of her citizenship by a cabinet decree for failing to inform the authorities of her dual citizenship, as she turned out to be a U.S. citizen, and her home was stormed by police in a late night raid. In 2013, 14 years after these incidents had taken place, four MPs with headscarves had entered to a general assembly of the Turkish parliament. A cabinet decree in 2017, annulling the one issued in 1999, repatriated Kavakci as a Turkish citizen. After gaining the citizenship, later that year, she was appointed as the ambassador of Turkey to Kuala Lumpur.